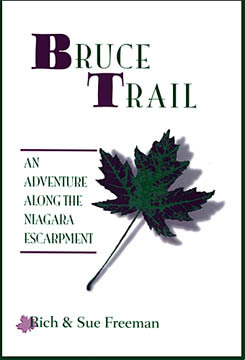 The Bruce Trail stretches 465 miles (800 km) from Niagara Falls to the tip of the Bruce Peninsula on Georgian Bay. It follows a unique limestone cliff called the Niagara Escarpment and wanders through fields of rare ferns and 500 year-old cedar forests on its way. Experience the adventure without leaving the comfort of your chair in this original account of a five-week backpacking trip along the Bruce Trail.